Marvel's latest summer blockbuster Ant-Man and the Wasp featured the titular heroes saving San Francisco from the usual perils. Seeing the hills on the big screen was a breath of fresh air, compared to the amount of screen time that New York usually gets. The Bay Area has been the center stage for a few films within the past decade, with varying degrees of success. 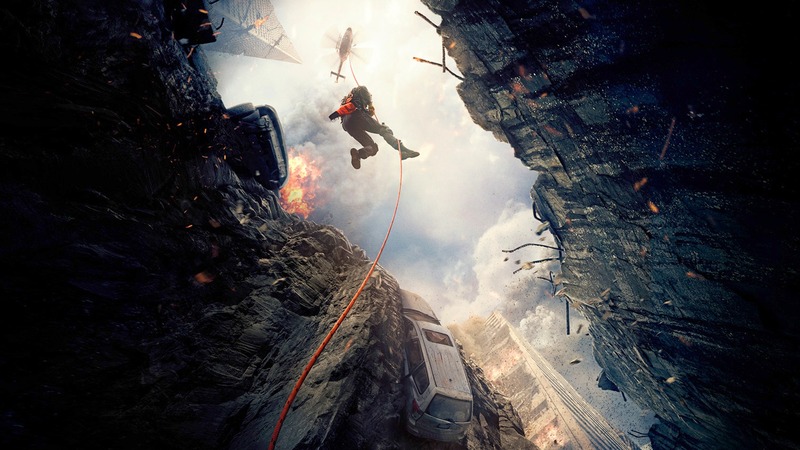 For example, the 2015 disaster film San Andreas managed to scare some viewers with its crazy plot. In San Andreas, Dwayne Johnson played a rescue pilot with an estranged relationship. His wife was played by Carla Gugino, and Paul Giamatti played Dr. Hayes, a seismologist who predicted a massive earthquake along the San Andreas fault. His prediction came true sooner than expected, devastating both Los Angeles and San Francisco. Devastating earthquake hits the Bay Area in San Andreas. What followed was a tense scramble to survive through the wreckage of San Francisco. Luckily, The Rock's massive biceps were there to save the day. The film was mostly a CGI popcorn movie, and the reviews were good enough to launch a sequel (which is in development). The American Geosciences Institute criticized the film for its geological absurdities, and pointed out that "despite the notoriety of the San Andreas Fault, it is not the greatest seismic threat to the Bay Area." Inside Out may be the most surprising addition to the list - not only because it was an animated film, but because most of it took place inside a girl's head. The PIXAR film was directed by Pete Docter and inspired by his relationship with his daughter. The film followed Riley (voiced by Kaitlyn Dias), a child who moved to San Francisco with her parents after living in Minnesota. Riley struggled to adjust to her new life in San Francisco, causing a rift between the personifications of her five basic emotions: Joy, Sadness, Fear, Disgust and Anger. The film portrayed a beautifully animated vision of San Francisco, and a particularly funny scene involving broccoli pizza (which the Anger emotion had much to say about). This film stepped away from the San Francisco area to explore a significant part of Silicon Valley history. Ashton Kutcher portrayed Steve Jobs in this biographical drama, starting with his life as a student in 1974. Apple co-founder Steve Wozniak was portrayed by Josh Gad. Part of the film was produced in Steve Jobs' childhood home in Los Altos, California, where his stepmother Marilyn Jobs still lives. Director Joshua Michael Stern stated that all the material in the film was gathered through research and by interviewing people who either worked at Apple or worked with Steve Jobs. Unfortunately, critical reception for Jobs was mostly negative. Steve Wozniak was approached with an early version of the script, and he turned it down in favor of another Steve Jobs film, released in 2015. Film crew at Steve Jobs' childhood home. The 2015 film Steve Jobs also took place in Silicon Valley, and starred Michael Fassbender as Steve Jobs. A couple of honorable mentions from the 90's include Mrs. Doubtfire (1993) and The Rock (1996), both of which included some iconic views of the Bay Area. Sony also plans on featuring San Francisco in their upcoming film Venom, making it the second Marvel film this year to do so. Venom will be released on October 5, 2018.